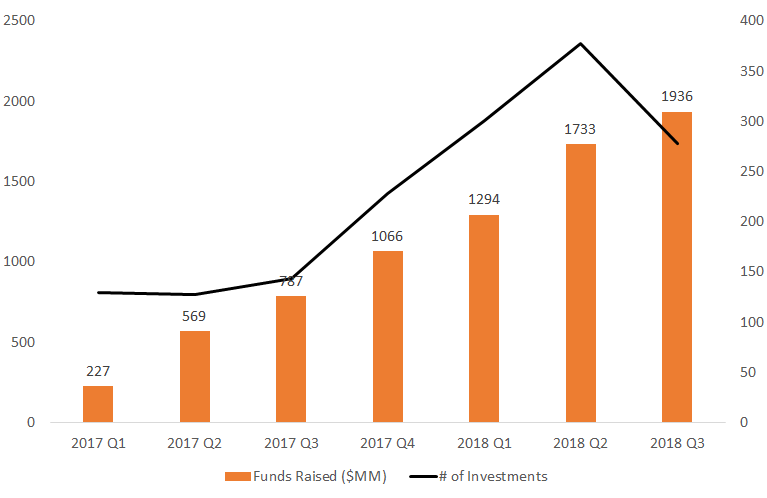 Venture Capital investments up +100% QoQ in Q3, 2018. The line between crowdfunding and institutional participation is getting blurred. Venture Capitalists are investing in ICOs and blockchain companies. VCs have shown an inclination towards buying tokens straight out of pre-sales, SAFT contracts, and other regulatory compliant offerings such as STO’s, which was almost non-existent a few months ago. More recently, investors have been taking stakes in blockchain companies even before their ICO. Companies behind ICOs have strongly preferred investments during Pre-Sales vs. Token Sales. In 2017, 630 ICOs conducted a pre-sale round as compared to 957 ICOs during YTD 2018, over 60% increase. 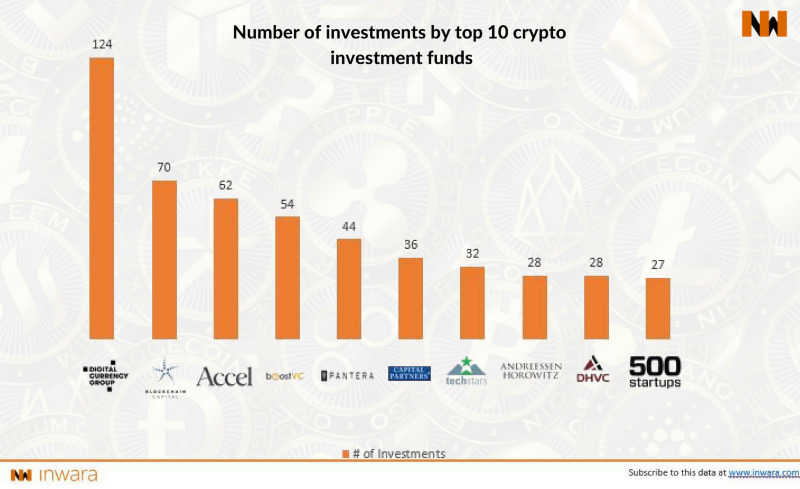 Top investors such as Fenbushi Capital, Pantera Capital and Andreessen Horowitz have invested in interesting projects both in Blockchain participants as well as companies planning for an ICO. 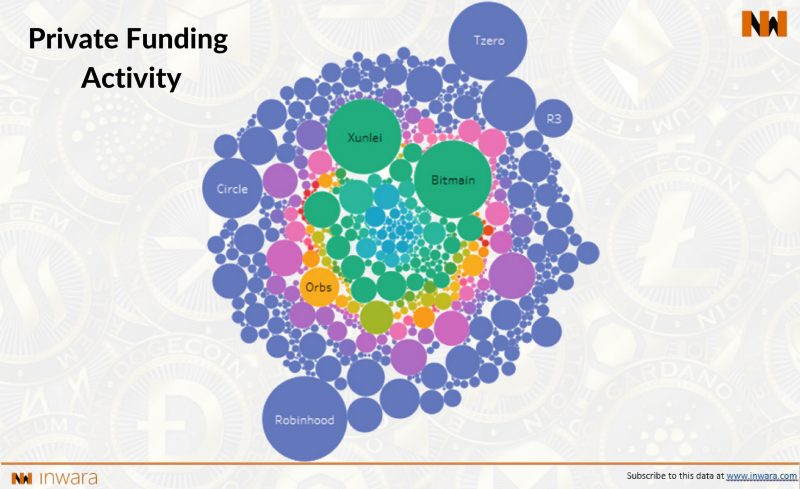 The leader in the pack is Digital Currency Group followed by Blockchain Capital. As the market has developed, companies have realized that professional investors are not contra crowd sales option. Efficient capital markets, pending regulatory reforms and increased mainstream industry adoption, have been a few factors influencing this shift. ICOs, which once used to allow everyone to invest, are also considering private placements to accredited investors. As the market evolves and evolves faster, one may soon expect other professional listing services such as under writing, securitization, etc to be a part of the traditional ICO universe. Interestingly ICOs such as Telegram, Dfinity etc, did NOT conduct a public sale. Retail investors had to wait until their tokens were listed on an exchange. There are also certain ICOs that have raised hundreds of millions — even billions without even having any working prototype. Filecoin ICO belonging to Protocol Labs Inc parent company, which is a blockchain data storage startup, raised $257M, while EOS,an ICO well known for it year long sale raised over $4B which is highest funds raised in crowdsale till date. Seba Crypto raised $104 M in a Venture round from investors Black River Asset Management and Summer Capital in last month. Coinbase raised $300 million in a Series E round from investors Y Combinator, Andreessen Horowitz, Tiger Global Management, Wellington Management, and Polychain. From just speculations a few years ago to raising over $2 B during 2018 alone. ICOs are becoming impossible to ignore even by the risk-averse Institutional financing community as the token sale shifts to private Sales and STOs. This change in attitude is best exemplified by the fact that there are relatively low returns in traditional centralized projects. This shift of preference is a mixed bag. The brighter side to this is the risk is shifted from individual investors to accredited institutional investors and on the other side, it is still risky as regulators still haven’t fully weighed in on them. With new regulations coming in every day, this trend is expected to find more craze in the investors as well as companies. Disclaimer: This article should not be used as an investment or financial trading advice and reflects the personal views of the author. Please conduct careful due diligence before investing in any digital asset. The views, opinions, and positions expressed within guest posts are those of the author and do not represent those of Tokens24. The accuracy, completeness, and validity of any statements made within this article are not guaranteed. Tokens 24 accepts no liability for any errors, omissions or representations. The copyright of this content belongs to the author and any liability with regards to infringement of intellectual property rights remains with them. 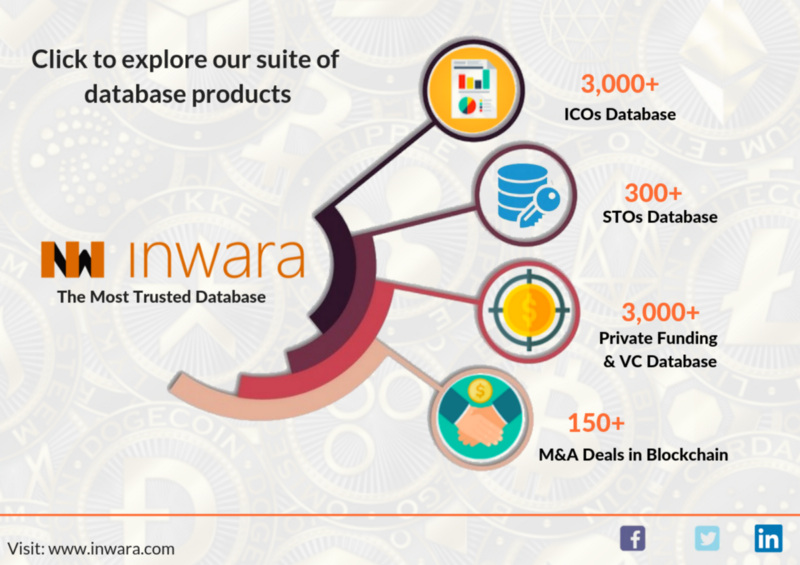 Strategy and Marketing Consultant at InWara Inc.